The paranoid and racist John Birch Society is alive in new guises. The other day I had lunch with a handful of former colleagues from The Capital Times in Madison. Inevitably the sorry state of journalism’s health as a profession came up. We kicked the poor dog around a bit but I don’t think we felt too sorry for ourselves, or too self-lacerating. But what troubles me especially amid retrogressing cultural tendencies — like the George Zimmerman acquittal and the “stand your ground” laws — is how a paranoid and self-serving individualism has reasserting itself as one of America’s ugliest characteristics. Let’s consider how this has played out in a historical context. One of the Birchers looniest conspiracy theories — about water fluoridation being a communist brain-hatch — was brilliantly lampooned in Stanley Kubrick‘s 1964 film Dr. Strangelove, in which the character General Jack D. Ripper initiates a nuclear war in the hope of thwarting a communist plot to “sap and impurify” the “precious bodily fluids” of the American people with fluoridated water. You may recall that the Birchers also accused Rev. Martin Luther King Jr. of being a communist. 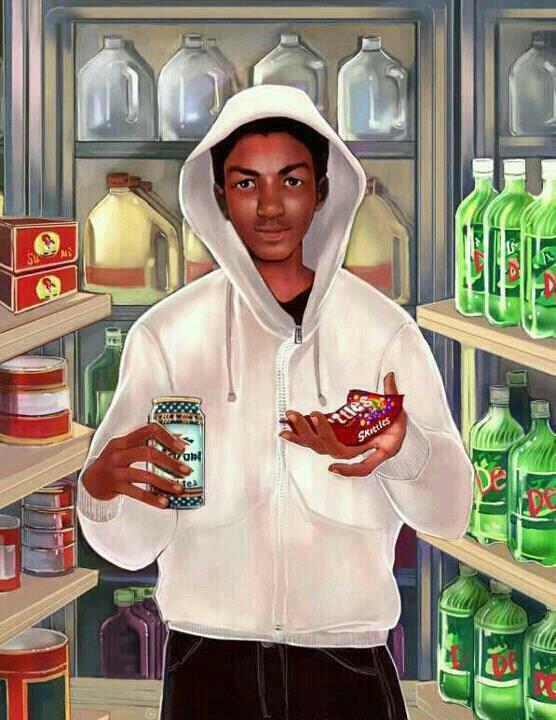 At a certain instinctual level, the notion probably arose because he embodied the fearsome black “other” who will do horrible things to “us” if only given a chance, especially if he’s a slender teenager wielding a bag of Skittles candy in the dark, in the rain, alone, minding his own business. 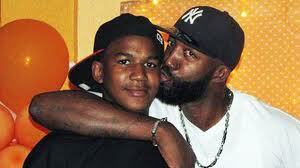 It’s time for many more people than Trayvon Martin’s father (right) to speak out about injustice. Contact your congressional representative. Courtesy thestartingfive.com. Uncontested facts that show a lethal progression: Zimmerman was the police-disobeyer, the aggressor, the provocateur and the killer — of an unarmed youth. Where does “Self Defense” come into this scenario? Many articulate comments have arisen in response to the Martin/Zimmerman verdict. But The Nation provided a few excellent points in the August 5/12 issue. That’s why this case can’t just be the cause of the week. 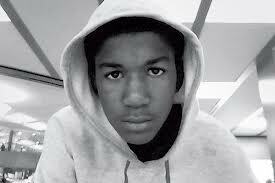 Trayvon Martin may fade in memory but only to our eternal shame, if changes are not made to wrong-headed laws that serve revenge-besotted vigilantes, not truth and justice. Do we want a racial profile and paranoia-enabling, shoot-if-they’re-black judicial system? Is that what America is about in 2013? I want to share her powerful response to that tragedy in song. Please listen to these two pieces. Then we might begin working anew – using each of our best skills and talents – for justice for all the Trayvon Martins and for the despoiled ideals of a nation built on the foundation that all men and women are created equal and must be treated that way, in our flawed and broken hearts, and in our morally floundering legal system. Thanks to my friend Richard Meyer of Madison for alerting me to Simon’s statement. Your recall nicely how personal and even intimate the experience of “The Dark Side” was.Wonderful memories that also helped expand and shape many listeners’ good musical taste.